UPDATE: "Mary Kate" earns BOS at PCA in 2010! 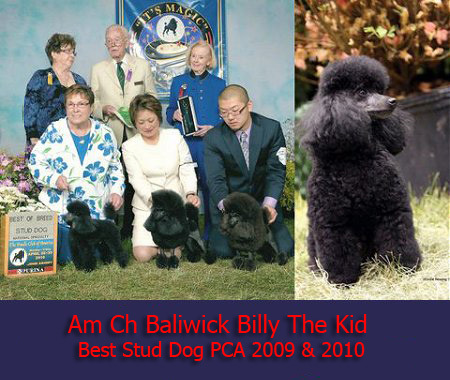 Billy earned Best Stud Dog at PCA in 2009 and 2010! Click read Story's story It has a happy ending! 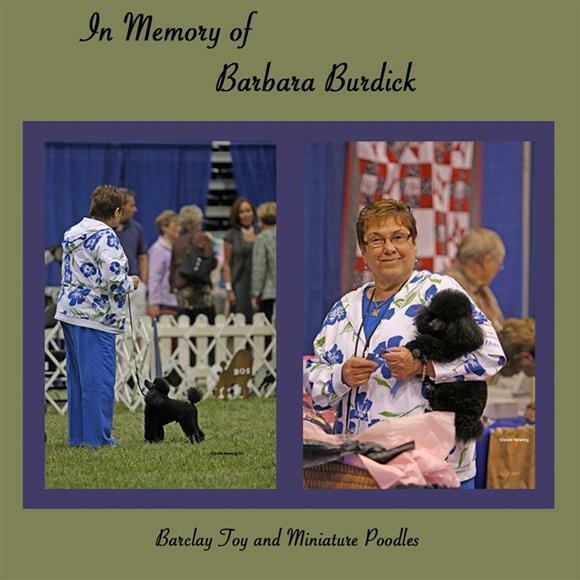 I am Barbara Burdick of Barclay Poodles. I have been breeding Poodles for over 25 years. I consider myself a knowledgeable Poodle Breeder. I strive to breed for beauty, brains and health. I am known for my Apricot Miniature Poodles and Black and Brown Toy Poodles. I enjoy showing myself and have been successful. Before you get a pretty show dog you need the health and temperament. In my line of Miniature Poodles and Toy Poodles, I have both. My Miniature Poodles are among the top obedience dogs in the country. I have a special page with all the obedience dogs I have bred. Please take a look. My Toy Poodles are also doing well in obedience, rally and agility. I work hard to make the perfect Poodle Pet for everyone. 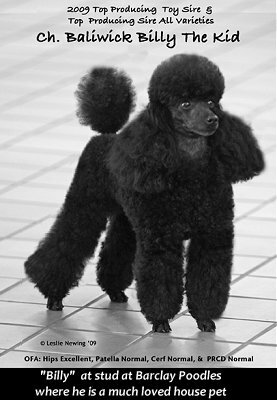 After my Poodles finished in the show ring, they have a wonderful life as a house dog. where they have more room and people come in and play with them. My grandchildren live next door and come in to play with the poodle puppies. Kids make happy puppies. Please browse my site to see my Happy Poodle Puppy People and my home.